An integral part of modern manufacturing process management is to acquire useful information from machining processes to monitor machine and tool condition. Various models have been introduced to detect, classify, and predict tool wear, as a key parameter of the machining process. In more recent developments, sensor-based approaches have been attempted to infer the tool wear condition from real-time processing of the measurement data. Experiments show that the physics-based prediction models can include large uncertainties. Likewise, the measurement-based (or sensor-based) inference techniques are affected by sensor noise and measurement model uncertainties. To manage uncertainties and noise of both methods, a hybrid framework is proposed to fuse together the results of the prediction model and the measurement-based inference data in a stepwise manner. The fusion framework is an extension to the regularized particle filtering technique, used to facilitate updating the state prediction with a numerical inference model, when measurement models alone are not satisfactory. 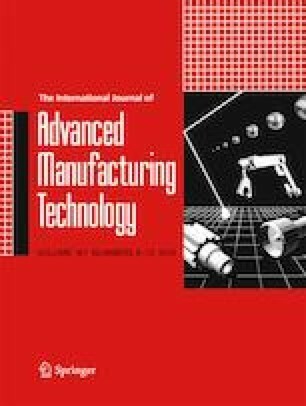 The results show significant improvement in tool wear state estimation, reducing the prediction errors by almost half, compared to the prediction model and sensor-based monitoring method used independently. This project was financially supported by the Natural Sciences and Engineering Research Council of Canada (Grant number: RGPIN/05922-2014).